We consider the ways and methods of measurement of parts on machine tools. Depending on the type of production is following methods of measurement on machine tools: measurement during processing and measurement under interrupted processing. When using the “measurement in processing” automatically measured geometrical and technological parameters of the cutting process in the case of deviations from the nominal values produced is automatic adjustment of the cutting process. Way to measure “in the interrupted processing” is used in cases where the parts have complex geometry and the machine handles a wide range of parts in small batches, which fully complies with the conditions of processing on CNC lathes. The choice of method depends on the measurement method of processing, measurement conditions, the required accuracy of measurement, the size of the party details and their nomenclature, the type of machine and the degree of automation. Keywords: measurement methods, techniques, cutting machine, adjusting the quality of the product. Nevelson M.S. Automatic control accuracy. – M: Mechanical Engineering, 1973. Nikitina L.G. 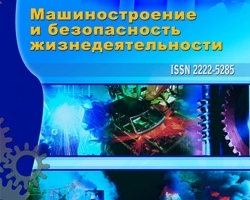 Adaptive management of machine tools // Engineering industry and life safety, 2011, № 3. – P.61-64. Grachev L.N., Sakharov M.G., Antipov V.I. Automatic control precision machining on CNC lathes. – M: NIImash, 1992. Baumgartner H., Feisel А. Experience with measuring controls when NC turning // workshop and factory, 1998, № 9.